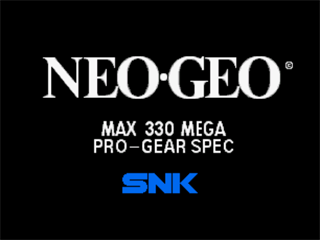 A NeoGeo Emulator for the Wiz. Great emulator. I just regret that we can't change the key mapping. Nice work, but please please please can you provide a clrmame dat with this, so that we can build a set of roms? you do not say what version of MAME you used, we have no way of building a rom set mame4all has a dat with it, thanks. Im having so many problems getting this set up properly to work with all roms. Ive tried a few different rom sets and the dumpgfx.exe does nothing on my computer, just hangs. Ive followed guides and still get "unsupported" error on many roms. Many games just say they are an unknown rom set. Am I missing something?? Is there a list of games that do work and where I can download them?? Because every game I try doesn't work. Except Blue's Journey and Metal Slug 1. I've only had my Wiz for 5 days so far, but I have managed to get Metal Slug 1,2,3,4,5 & X to all work through GnGeo. Metal Slug 1, 2, 4, 5, & x were the easiest. Just took finding the right rom site. MS3 took a good bit more effort, but I finally got it today. All in all I think this is a really slick emulator. I would like to be able to change the clock speed, and maybe you can. I just haven't figured it out yet. GnGeo is epic. I play King of Fighters 98 all the time. Good work!! My right shoulder button broke and I have to change the key combination to get to the menu. Currently it is L+R+Start or Select. Can we have an option to change this?